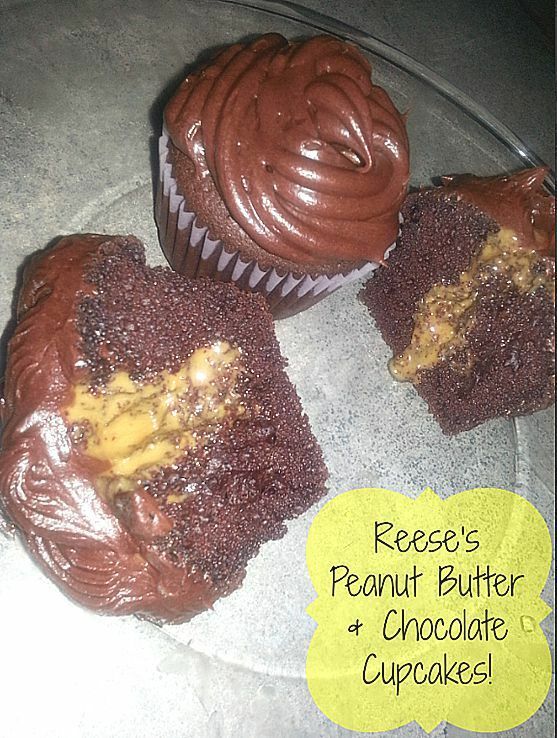 Reese's Peanut Butter And Chocolate Cupcakes! You are here: Home / Recipes / Dessert / Reese’s Peanut Butter And Chocolate Cupcakes! 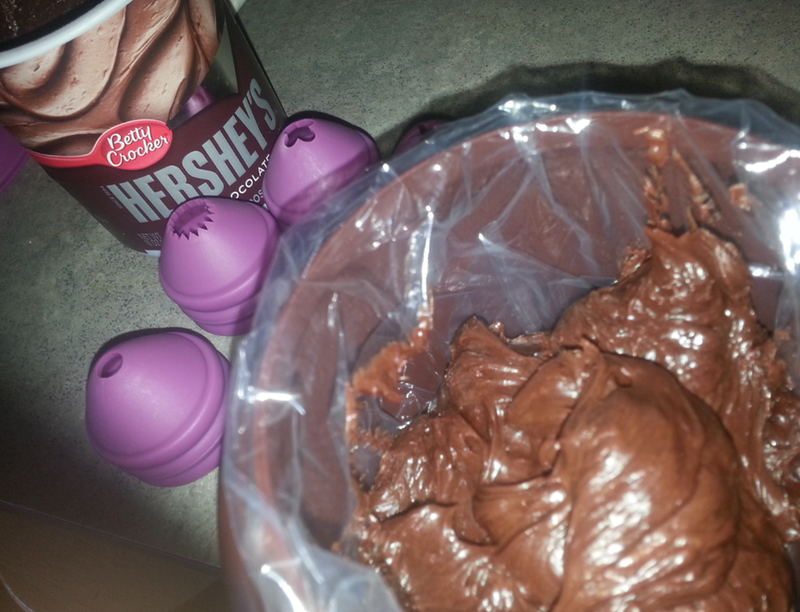 Betty Crocker and My Blog Spark sent me this fun Reese’s Peanut Butter & Chocolate cupcake kit and supplies! They are letting me give one lucky winner a great prize package, too! We enjoyed making them and they were definitely a HIT! 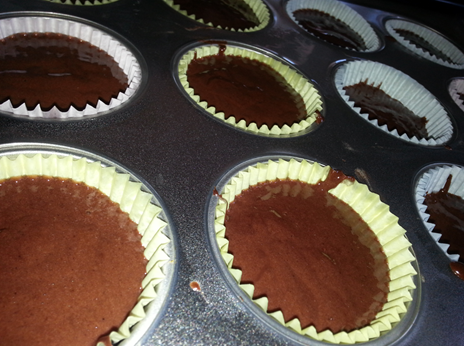 So, the Betty Crocker Reese’s Cupcakes were great! 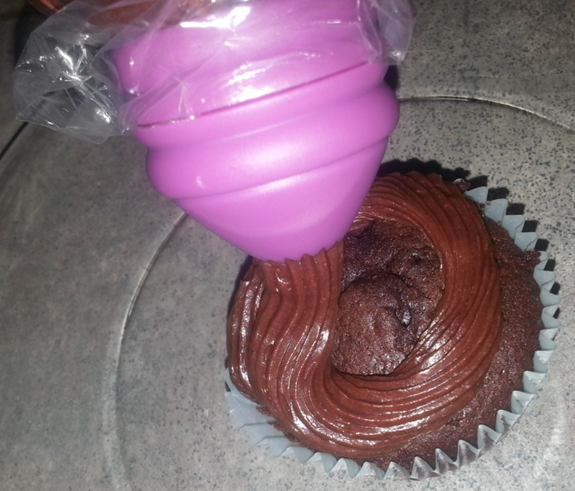 You make the cupcakes and then there’s a peanut butter filling you add after they are baked! You can use the Cupcake Plunger to remove the middle to fill it with anything! 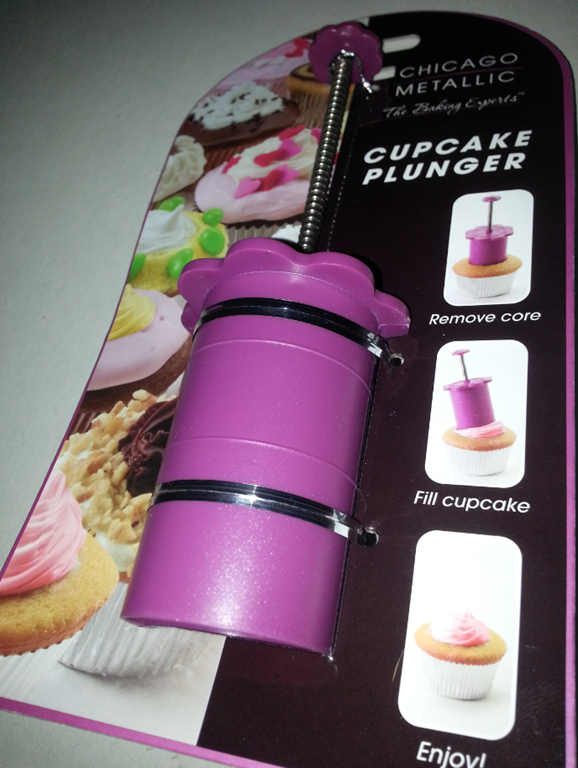 Then you can use the Cupcake Creation Station the fill your icing bags and change out the tips for many creations! The whole process was a lot of fun and really sparked some great ideas of other fun creations! My sister and I would always bake cookies while my mom was at work. We would always put way too much salt so we would call my mom and she would tell us how to fix it by multiplying the other ingredirnts. We usually ended up with 3 or 4 batches of cookies instead of one! My funniest baking experienced occurred several years ago. I was baking a rainbow birthday cake for my boyfriend. Well, it turned out all green instead! My worst and funniest is actually a compilation of my wife and I cooking together. She refuses to follow the recipe. One time we were making oatmeal cookies and the recipe called for a tbsp of vanilla. She open the container, says this smells good, and dumps half the bottle in the bowl because she thinks it tastes as good as it smells. She does that with every recipe. My funniest/worst baking experience was when I tried to make heart shaped sugar cookies for Valentine’s day and all the cookies merged together on the pan into one big blob while they are baking. Worst? I had cookies in the oven and the doorbell rang. I got distracted with the people at the door and…paperweights. Yuck. Added salt instead of sugar (mismarked container in a church kitchen)to chocolate chip cookies. Kids comments — “these cookies taste yucky”. My worst baking experience was when I was about 11 years old & I was baking chocolate chip cookies with my Grandmother. I was in a hurry to eat them so when they came out of the oven I decided I would blow on them to cool them faster. Boy was I wrong!! As I was blowing on the hot cookies they exploded. There where pieces chocolate chip cookies everywhere. To this day I will not blow on hot cookies again. When I was in Junior High I swaped the amount of salt for the amount of sugar for sugar cookies. Yuck! My funniest/worst baking was when I tried to make a doggie cake for my youngest’s 2nd birthday but it turned out more like a bear. Oh well, at least she was too young to remember. My son needed brownies for his public speaking class and we burned them, twice!